Don Lorenzo Perosi, a brilliant composer of sacred music who was musical director of the Sistine Chapel at the Vatican for almost half a century, was born on this day in 1872 in the city of Tortona in Piedmont. A devoutly religious man who was ordained as a priest at the age of 22, Perosi was a contemporary of Giacomo Puccini and Pietro Mascagni, both of whom he counted as close friends, but was the only member of the so-called Giovane Scuola of late 19th century and early 20th century composers who did not write opera. Instead, he concentrated entirely on church music and was particularly noted for his large-scale oratorios, for which he enjoyed international fame. Unlike Puccini and Mascagni, or others from the Giovane Scuola such as Ruggero Leoncavallo, Umberto Giordano and Francesco Cilea, Perosi's work has not endured enough for him to be well known today. Yet at his peak, which music scholars consider to be the period between his appointment as Maestro of the Choir of St Mark's in Venice in 1894 and a serious mental breakdown suffered in 1907, he was hugely admired by his fellows in the Giovane Scuola and beyond. Arturo Toscanini conducted his work Mosè on the occasion of its premiere at La Scala in Milan in November 1901, his French admirers included Claude Debussy and Jules Massenet and many of the great opera singers on his day were keen to perform in his works, including Enrico Caruso, Mario Sammarco, Carlo Tagliabue and Beniamino Gigli. Puccini is quoted as saying that "there is more music in Perosi's head than mine and Mascagni's put together". Perosi is credited with reviving the oratorio as a musical genre. 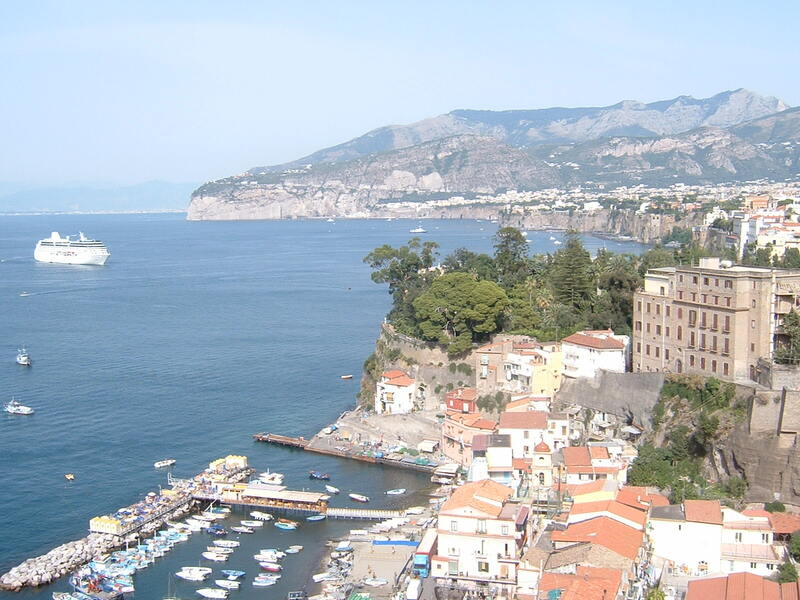 His grand productions for chorus, soloists, and orchestra based on Latin texts were noted for their bringing together of Renaissance harmony, Gregorian chant, and the flamboyant melodies and orchestrations characteristic of the Giovane Scuola. Perosi was one of 12 children born into a pious Catholic family in Tortona, only half of whom survived infancy. His own birth was said to have been difficult and music historians believe it was probably the cause of the mental health problems he suffered in adulthood. 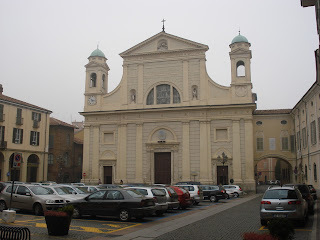 His father, Giuseppe, was choir director at the cathedral in Tortona and his talent for music was shared with his brothers Carlo, who also became a priest, and Marziano, who would later be musical director at the Duomo of Milan. Lorenzo enrolled at Milan Conservatory, where he began his association with Puccini and Mascagni, after which he took his first professional post as organist at the Abbey of Montecassino. He spent a year studying in Germany under Franz Xaver Haberl, where he learnt Renaissance polyphony, but declined a permanent teaching position in Germany in favour of a position nearer home as director of sacred music at the Duomo in Imola. From Imola he went to Solesmes Abbey, a Benedictine Monastery in France to study under the Gregorianists Dom André Mocquereau and Dom Joseph Pothier. 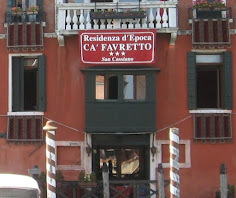 The appointment at St Mark's in Venice came in 1894 and brought Perosi under the influence of Cardinal Giuseppe Sarto, the Patriarch of Venice who would go on to be elected as Pope Pius X. It was Sarto who ordained Perosi to the priesthood but just as importantly encouraged his music and was influential in his appointment in Rome. 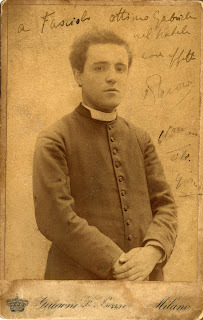 Perosi's mental health problems began to manifest themselves in 1906, when doctors felt he was suffering from nervous exhaustion as a consequence of the hours he spent writing music in addition to his duties as a priest. They became so severe following the deaths of both his parents within the space of a few years that at one stage his brother, Carlo, was nominated legal guardian as some doctors deemed him incurable. In time, however, his condition improved and he returned to a normal life. He added to an already enormous body of work and the popes Pius XI and Pius XII waived the rules regarding mandatory retirement and retained him as 'maestro perpetuo' into his 80s. By the time his health deteriorated irreversibly he had served under five popes. 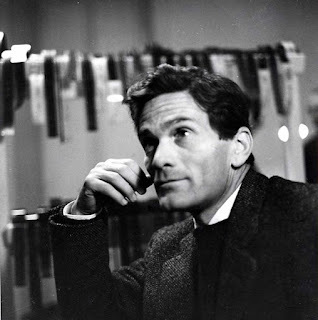 He died in Rome in October 1956. 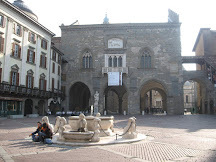 Tortona is an elegant small city of around 27,000 inhabitants in the eastern part of Piedmont, roughly halfway between Milan and the Ligurian coast at Genoa. 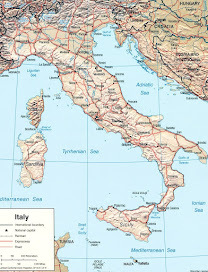 It sits on the right bank of the Scrivia river between the plain of Marengo and the foothills of the Ligurian Apennines. 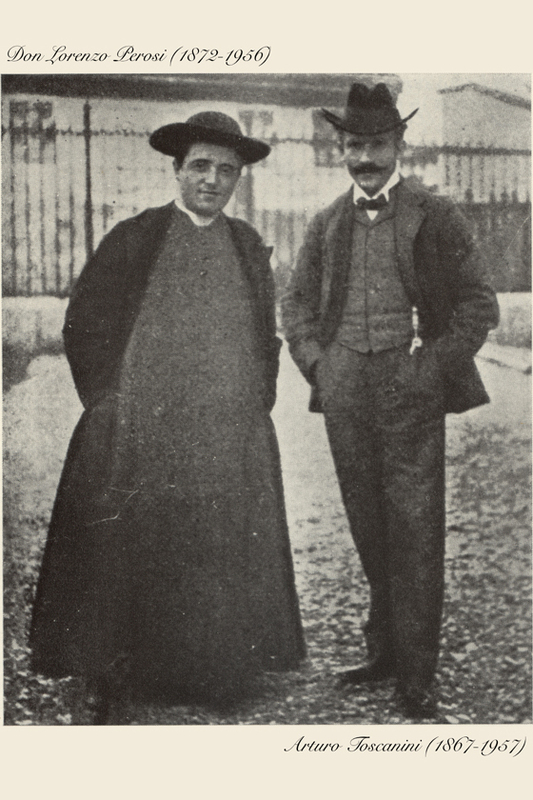 Lorenzo Perosi, along with his brother, Carlo, is buried at the Duomo, where his father was the choir director. 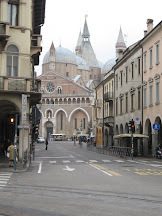 The Duomo has a 19th century neoclassical facade but the building itself dates back to the 16th century. The Sistine Chapel choir is one of the oldest religious choirs in the world, consisting today of 20 adult professional singers and 30 unpaid boy choristers. 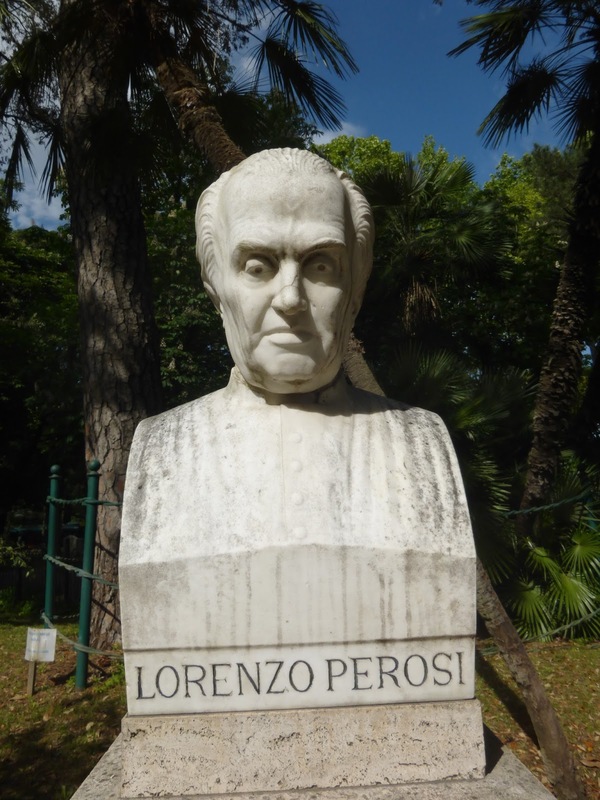 Its reputation today owes much to Lorenzo Perosi, who raised its artistic level to a level as high as any it had known during his time as Maestro di Cappella and supported Pope Pius X in outlawing the use of boys whose voices were preserved by the barbaric practice of castration. Pius declared that only "whole men" should be allowed to be choristers or priests, and the last of the castrati were in time eased out of the choir. A bust of Perosi can be found in the gardens on Pincian Hill - the Pincio - in Rome.